In the highly competitive world of business, what makes or breaks a new entrepreneur? Sourced from over twenty years of firsthand experience working with entrepreneurs, new ventures, and high-growth startups, author Ken Colwell, PhD, MBA has the answers. He concisely presents the core fundamentals that all new entrepreneurs need to know to get started, find success, and live the life of their dreams. 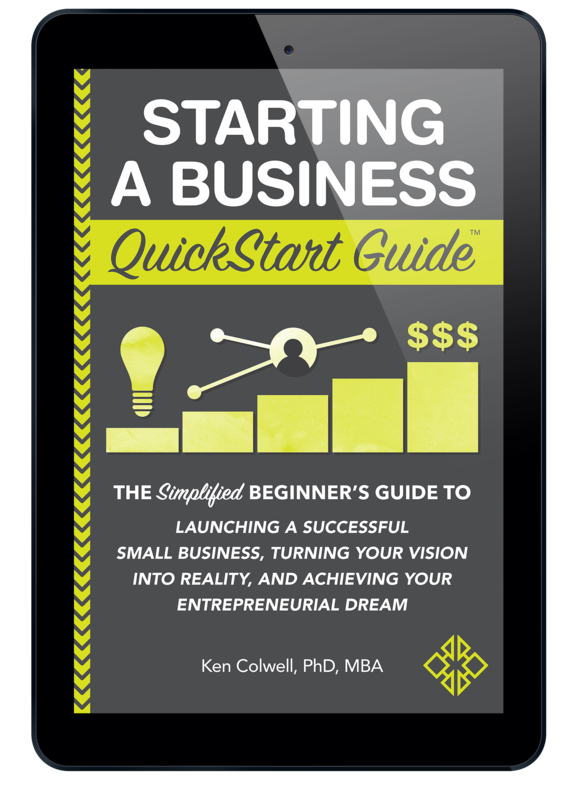 Business and entrepreneurship students, small business owners, managers, and soon-to-be entrepreneurs will all find a wealth of value within the pages of the Starting A Business QuickStart Guide. From the very first steps conceptualizing your venture to winning your first customers, delivering value, and turning a profit, this book acts as an invaluable blueprint for your path to entrepreneurial success. Colwell’s clear voice, extensive experience, and easy-to-understand presentation come together to make this book a must-have resource in the library of every budding entrepreneur! Click or tap the image to enlarge, then use navigation arrows to experience each sample spread. He has consulted for hundreds of start-up ventures and is the Founder of Innovative Growth Advisors. Dr. Colwell is currently dean of the School of Business at Central Connecticut State University. He was previously dean of the School of Business, Public Administration and Information Sciences at Long Island University–Brooklyn. Prior to taking his current decanal post, he was director of entrepreneurship programs at the University of Miami School of Business Administration and a professor of strategy and entrepreneurship at Drexel University. Extensive in-depth and hands on entrepreneurial experience as both new venture founder and new venture consultant. Has taught Strategic Management, Entrepreneurship, New Venture Planning, and Entrepreneurial Consulting at the undergraduate, graduate, and executive levels. His research has appeared in such journals as Organization Science, British Journal of Management, International Journal of Entrepreneurship and Innovation, International Journal of Entrepreneurial Venturing, and Futures. Draws on his extensive experience and broad exposure to the entrepreneurial ecosystem to develop a unique and holistic approach to starting a business. You have said that “starting a business is the ultimate creative act.” Why do you say that? How much has the world of entrepreneurship changed during your career? Are the barriers to starting your own business higher or lower? With all of the startups and new businesses you have seen, what is the one thing that sets the successful ones apart from those that don’t make the cut? We hear a lot about “the entrepreneurial mindset.” Do you believe that such a thing exists? Is an entrepreneurial path for everyone? Can anyone start their own successful business? What would you say to people who say that entrepreneurship is a risky career path? What is the one largest misconception or fallacy you have seen surrounding entrepreneurship? 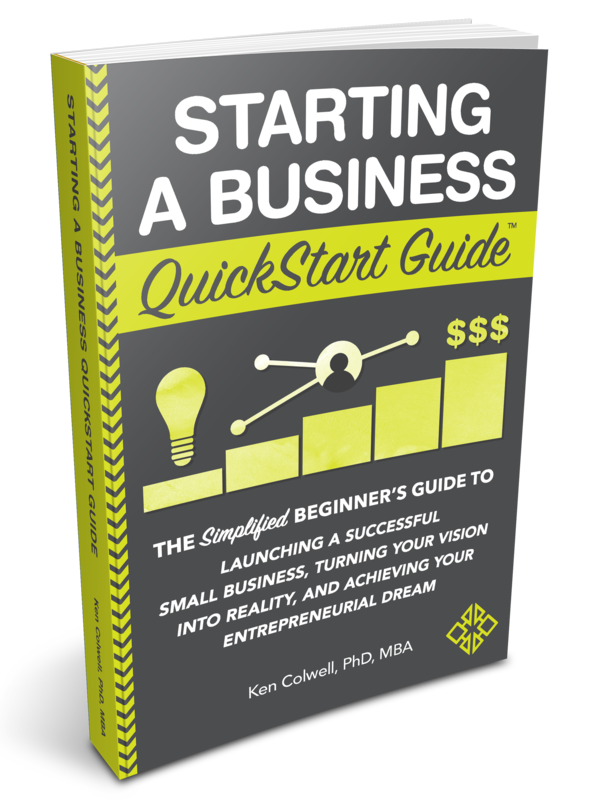 Why did you decide to write the Starting a Business QuickStart Guide? 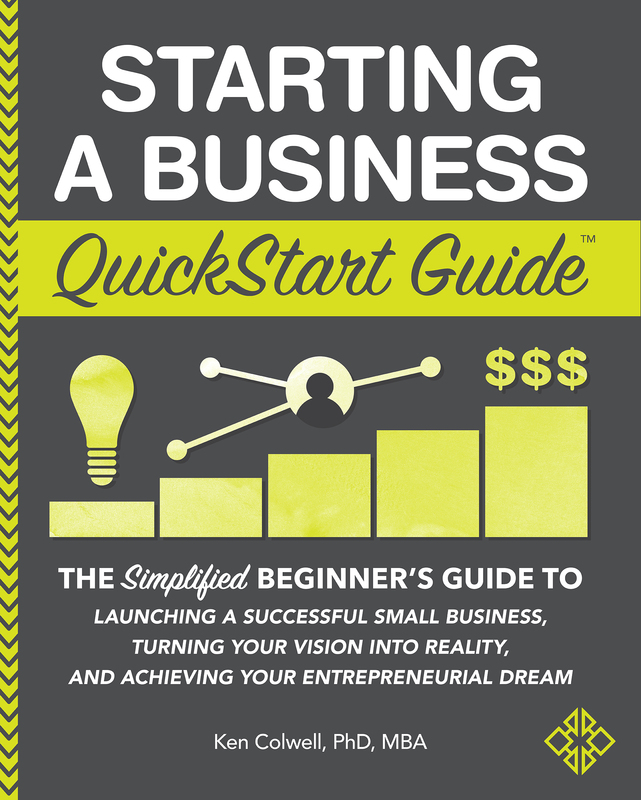 Who is the Starting a Business QuickStart Guide for? There are plenty of books for startups and entrepreneurs–what makes this guide different? If someone picks up this book 5 years or 10 years from now, will the insight in its pages still be relevant? The book includes a section that is a step-by-step guide to writing a business plan. Do you think all entrepreneurs need a business plan? In addition to the Starting a Business QuickStart Guide, what other resources would you recommend for brand new entrepreneurs? For promotional purposes only. Propert of ClydeBank Media LLC. Not to be edited or altered without express prior consent.